A villa is generally a detached house in a residential area. Often villas have landscaped yards, pools, spas, sometimes they can be very large, though they can be quaint as well. 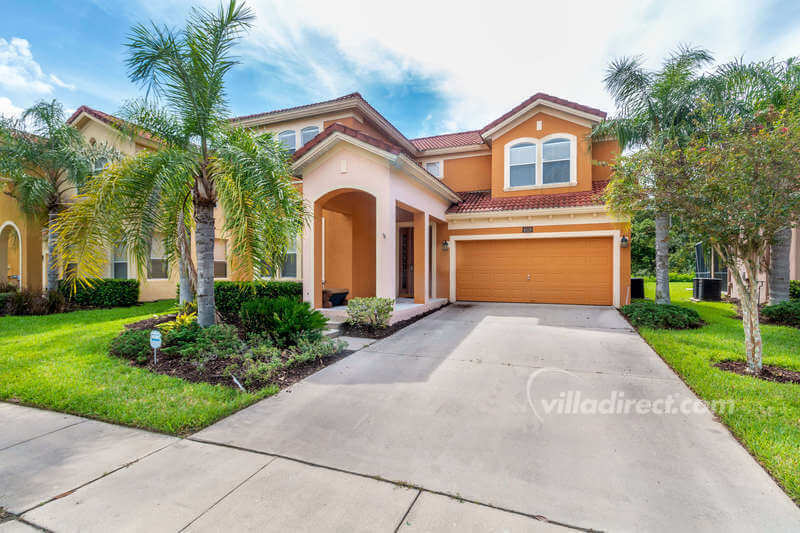 VillaDirect’s Orlando vacation villas are always private, intimate, well-appointed, landscaped, and comfortable. They are ideal for your varying private vacation home needs. Villas are homes in residential areas. By definition, they are private and separate from others. Solitude comes standard with our villas. Winding neighborhood streets, cul de sacs, and circular lanes make many villas even more private and lend to the intimate setting. Of course, privacy and solitude do not mean out of touch or far distant from the other places you want to be. Our villas are very near by the things you want to do. Your villa will always be well-appointed. Plush, comfortable furniture, thoughtful lighting, beautiful decor, inviting bedrooms and baths make your stay grand and enjoyable. While homes vary the furniture is timeless and elegant. The lighting is well-planned and emphasizes key components of a room for a rich ambience that you will feel. The decor can be bright and merry or cozy and warm. 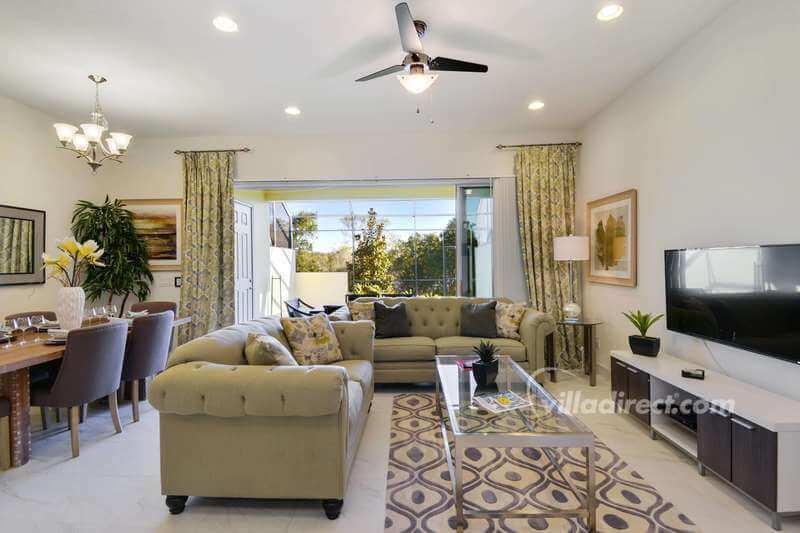 You choose the style you like as you view the villa photos when booking. Some of our villas have a bathroom for every bedroom plus a bathroom for visitors. Privacy is important in so many ways. A garden is less an imitation of Nature, that Nature herself put before our eyes, and called into play with Art (Abbe Noel-Antoine Pluche [1688-1761]). Lush gardens make lines and curves, high and low shapes and colors beautifying our villas. Shaded lanais surround villa pools. The landscaping adds charm, grace, and privacy. It is well-cared for by our very own team of skilled professionals. You recognize the quality and care we provide as you pull into your villa. 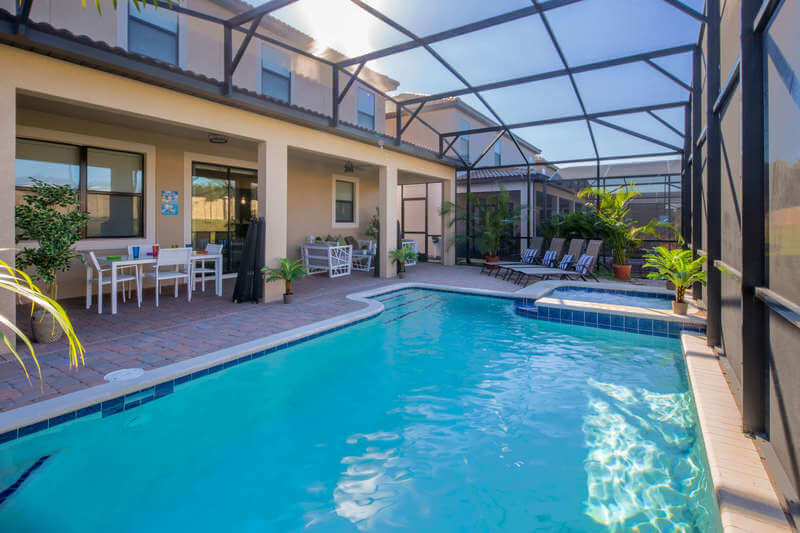 Of course, one of the greatest features of a VillaDirect Orlando vacation villa is the pool and spa. There’s just something about the moonlight sparkling along the surface of the water. The beautiful shades of blue. The refreshing coolness as you slip into the water on a warm summer evening. It’s amazing to take your meals outside, yet inside the screened lanai alongside such graceful luxury as your own private pool and spa. 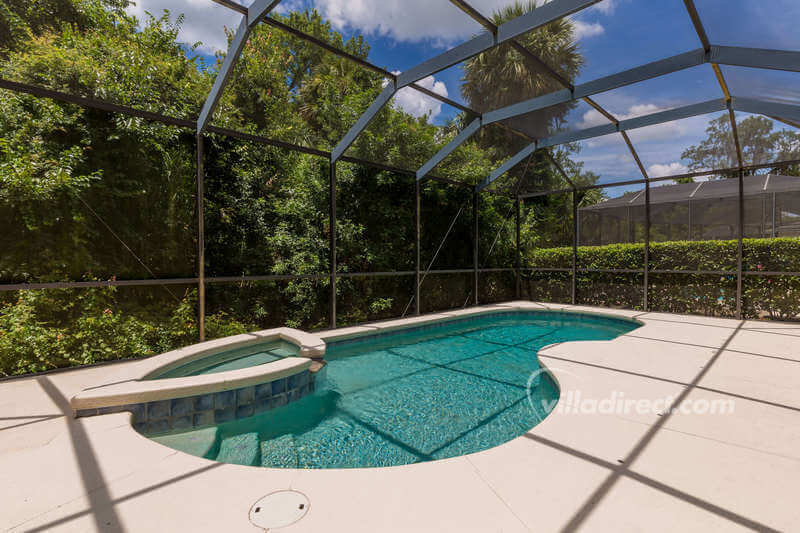 Book your Orlando villa now.